Commendatory letter for Hu Meigang from WP. 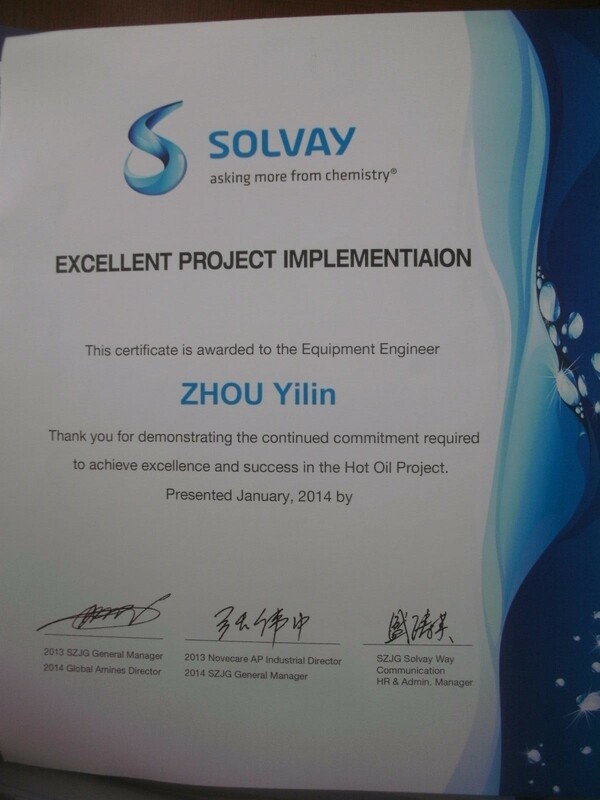 TOYO Purchasing Department in recognition of the the Daikin project in southern boiler inspector Wang Huan mail. • The leaders of Shanghai Quality and Technique Supervision Bureau came to our company to guide and instruct inspection work. Address 1: No.75, Lane 111, Shunda Road, Jiading District, Shanghai China P.R. Address 2: Room 307，No.7 floor, No.3088, Gonghexin Road, Zhabei, Shanghai China P.R.